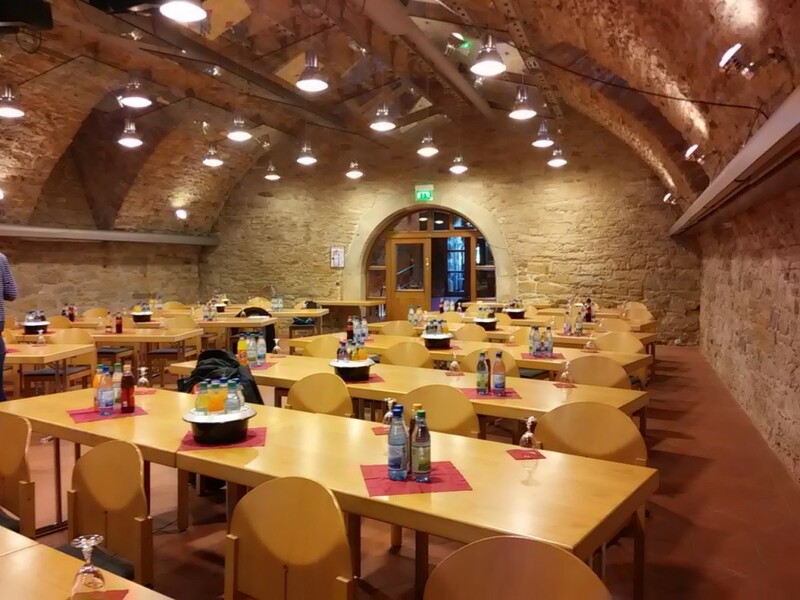 During the event at the Bayerische Museumsakademie, we visited the Historical Museum Bamberg. At some point of our visit, our hosts invite the participants to create activities for a particular room of the museum. As you can imagine, we create a story. 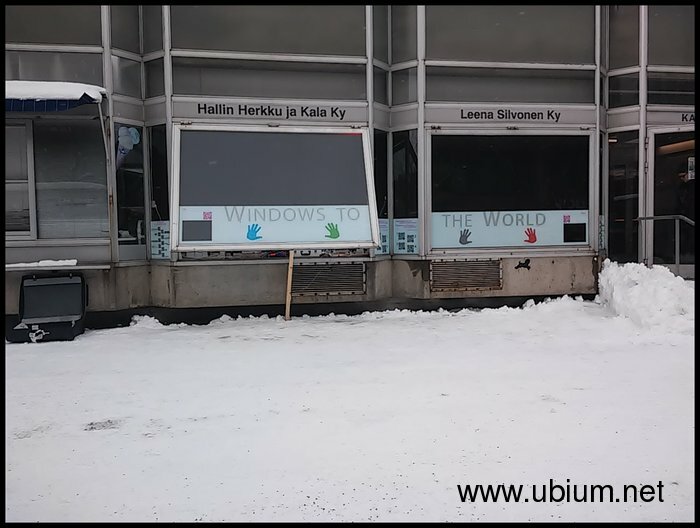 As you know, we came with the idea to do something for the windows of Kauppahalli in Joensuu sometime in spring 2015. If you see the windows in the current state, they are really boring. We wanted to do something interactive with them for the people in the city. 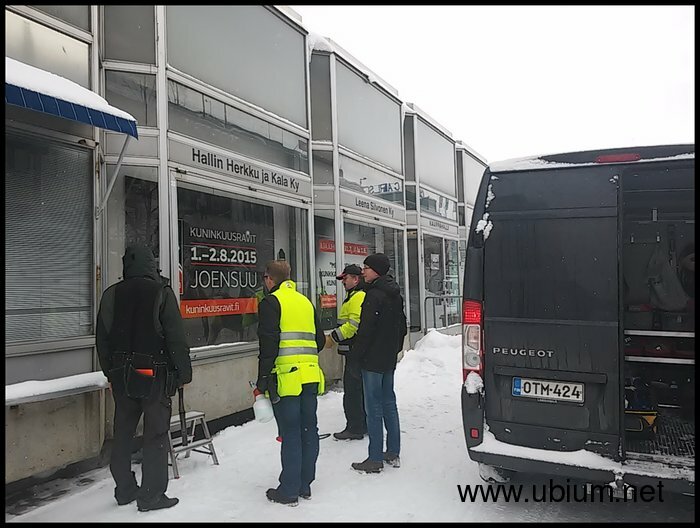 The city contacted us and we talked with them early November and agree with them to come with the an idea to do something for the windows by March 2016. However to agree on a date means that the challenge just starts. 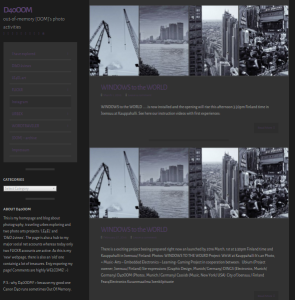 The concept, Windows to the World, emerged until December 2016. There was not much time to produce something of quality. But it is thank you to an incredible team that this project was possible. We make a layout, to be sure of what we wanted, and for this project the measures needed to be precise! Analyse the amount of light to be sure the technology will work. 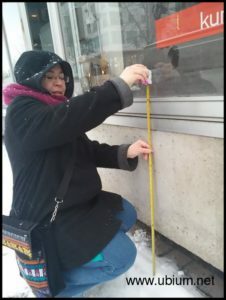 On Feb. 23, our partners of joenkilpituote came to put the layout to our windows. 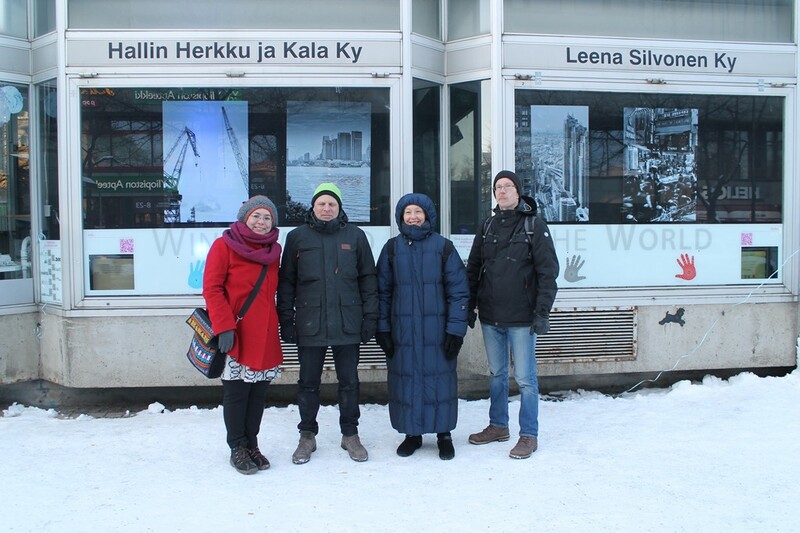 Then we went to pick up the photos of the exposition, that our partners from Kuvanilma printed. 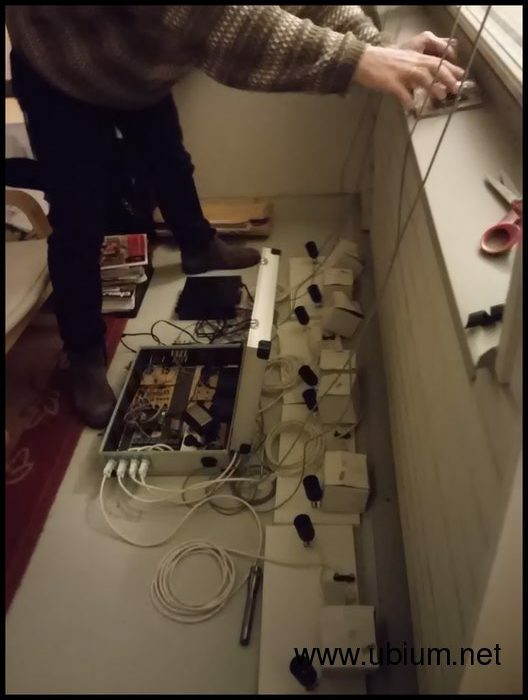 Finally, on 25th of February, our partner from Germany arrieved and it is time to integrate the technology and do A LOT of tests. We embellish more the windows adding some black background, and tests continue while we were also setting up the installation. 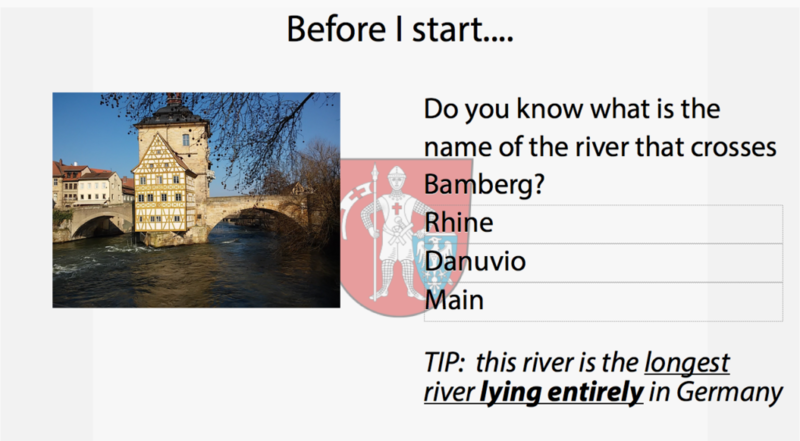 There were several details to take care of (e.g. the music of the exhibit, the sounds of the game, the set-up of the equipment) under really freezing temperatures. Children playing at Windows to the World exhibit! Great to see that these girls enjoying the game! After a big effort of all the team involved, it is in this moments that everything pays off. When one can see people enjoying the exhibit and/or playing the game in this case. To allow others to enjoy while discovering their environment is a special mission. It is to create life while supporting a process of learning, playing and communicating. 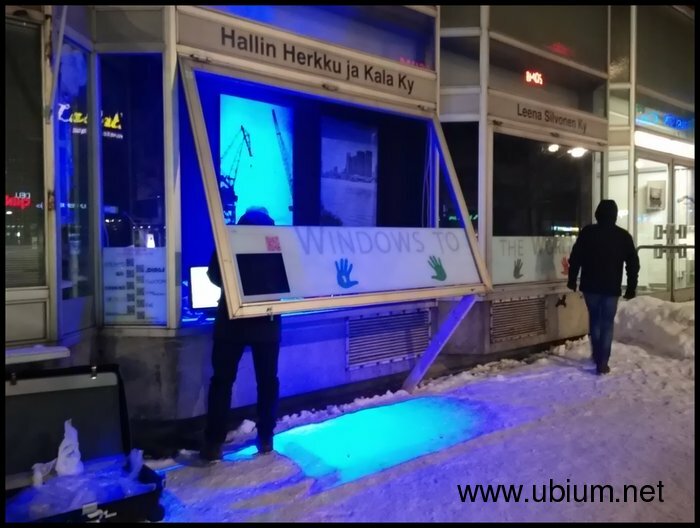 Author ubi-bloggerPosted on 19th March 2016 19th March 2016 Categories Design & Develop by UbiumTags exhibit, Finland, Joensuu, music, photography, windows to the worldLeave a comment on Children playing at Windows to the World exhibit! 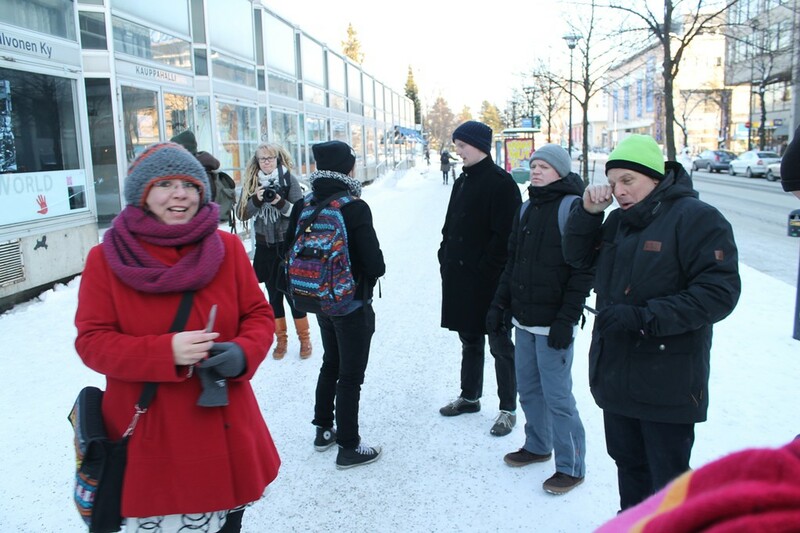 On Tuesday March 1st, 2016 at 3:30pm, we were at front of Kauppahalli building in downtown Joensuu, Finland. 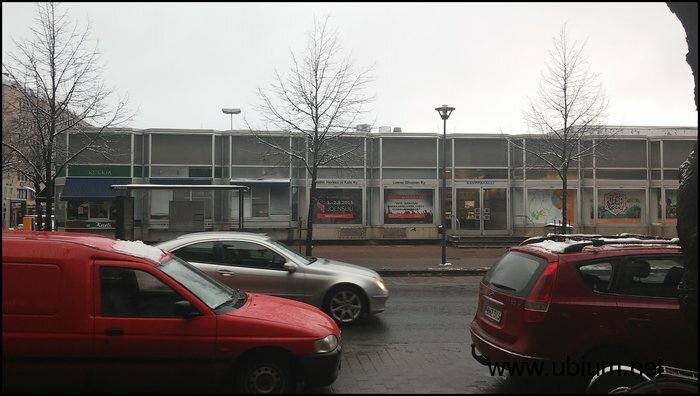 We were at front of the two windows which are hosting our temporal exhibition. (iv) people can interact at any time with the exhibition. 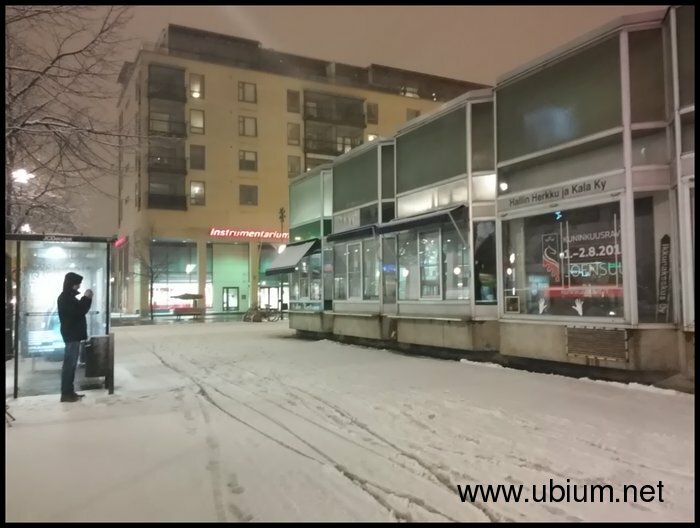 As you can see in the following photo, March 1st was a cold day here in Joensuu. However, independently of the weather people join us. Our artists opening the exhibition: Claire Lacey (music) and D40oom (photography). Photo taken by R. Albert . The exhibition invites the people to think about 4 particular topics relevant in our time: Technology, Nature, City and Crowd. In a following posts we will present the different aspects of this exhibition. Now, let us celebrate that is finally open to the public. Below a photo of the team which work on all the last details before this day!. Next, the most important persons is you and we hope you enjoy the exhibit! In recent years, the Finnish national budget assigned to education has been in constant decline. This reduction has had a detrimental effect on research and development of different fields including the Arts and Culture. Simultaneously, we live in an era where the Western economy has seen the demise of its manufacturing industry and is becoming more and more reliant on the growth innovation can bring. Many organizations are trying to redress this issue by encouraging innovation through competitions. Ubium believes innovation through collaboration could be as, if not more, effective a starting point. Especially now when global networks mean social interaction has no borders. 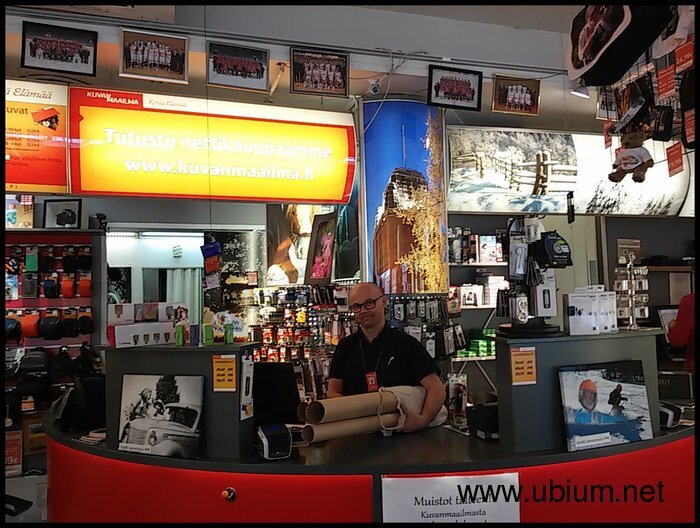 Ubium, a ‘start up’ company based in Joensuu, is committed to innovating new ways of learning and creating, playfully, through the help of technology. Their focus has revolved around the use of cross cultural themes as a trigger for research and development. Inspiration, curiosity and motivation to learn are activated and encouraged within a given time structure towards a specified goal. Good communication and transferable skills being essential to a successful and meaningful outcome. 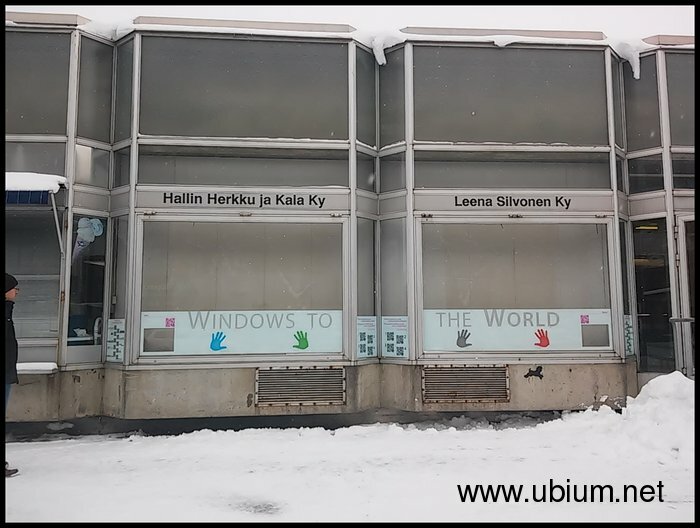 Windows to the World – is a non-funded public art project, presented freely to the people of Joensuu. They can listen to music, look at photographs, read our story and reflect on the composition’s message. 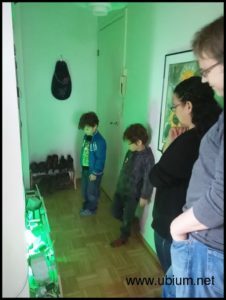 They can also test their memory skills through an interactive sound and light game by touching the sensors on the outside of the two windows. 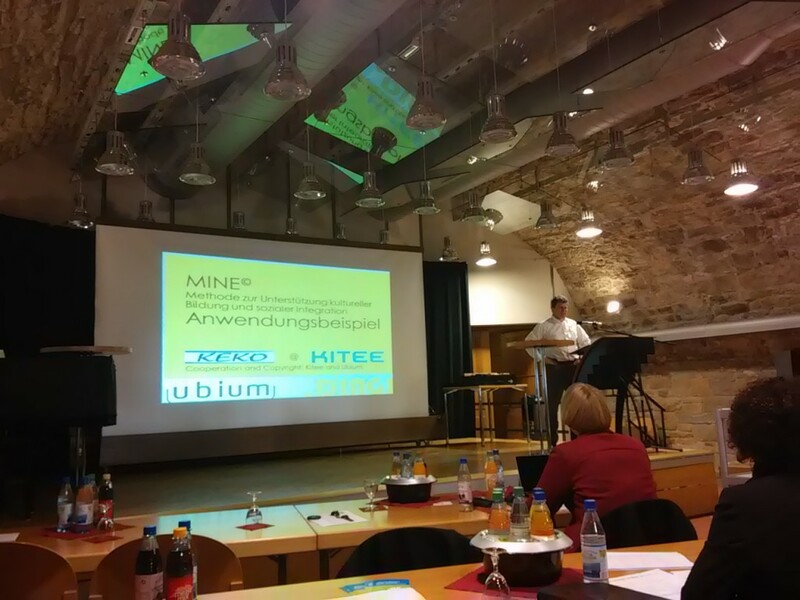 Ubium and all partners/sponsors have contributed their time, resources and expertise freely towards the realization of this idea. 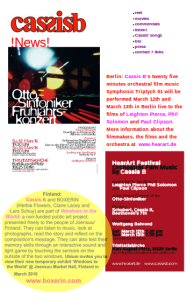 Contributors originate from Finland, Mexico, Germany, America and the UK. A full list of names/companies can be found on the QR next to the exhibit. You are welcome to be a part of our journey! 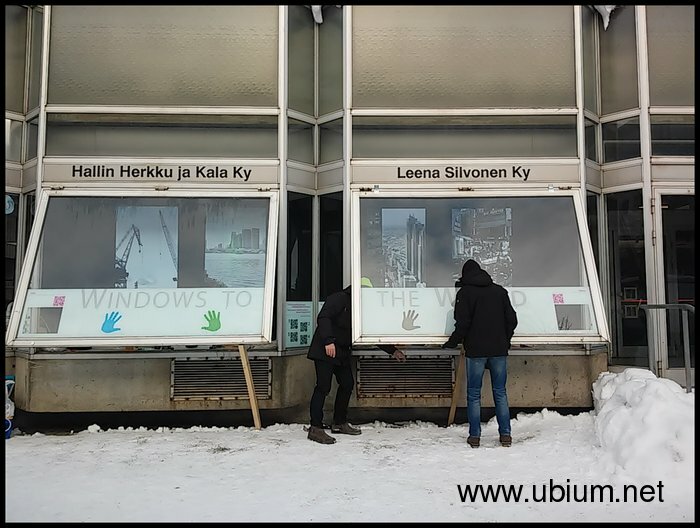 Ubium and on behalf of all the Windows to the World’s partners and sponsors, Thanks!